Business directories are a great way to advertise your business locally. This advertisement will also help you to reach a higher position in various search engines, such as Google, Yahoo, and Bing. 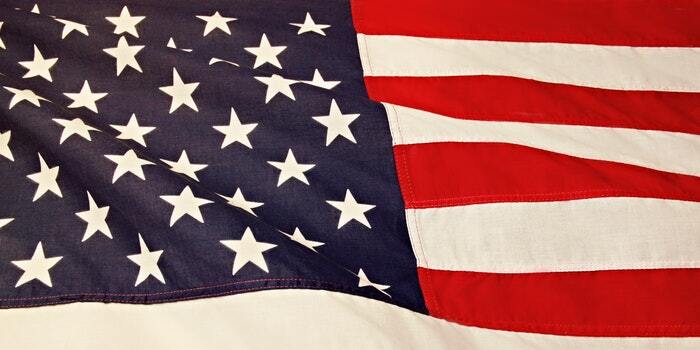 In this article, we cover the best of them available in the United States of America. Let’s begin! This business directory is directed to people who are looking for business partners and customers, not for people who want to register their own business. Although it is a very useful US small business directory with over 11 million companies categorized in nearly 4 thousand industries. You can order personalized listing which will contain only the information that you need and want. 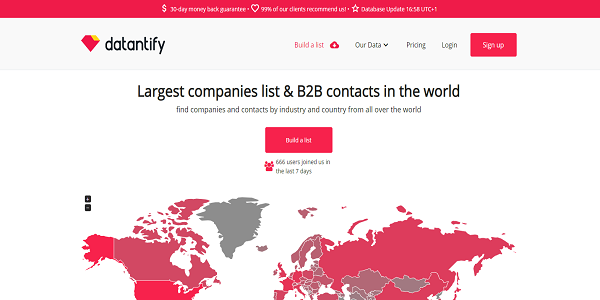 Huge databases and a lot of users every day make Datantify one of the best business directory available in the USA. Definitely recommended. You will probably can’t find an American business directory more simple than this one. Well designed, easy to use and – what is important – with a standalone mobile app. Thumbtack is loved amongst customers and professionals who register their business because of some unique functionalities like cost estimates or great business Q&A systems. An international business listing with sub-pages directed to specific countries. Works similar to yelp but have some own solutions as well. Huge community – about 50 million users and a great number of registered companies: over 100 million. 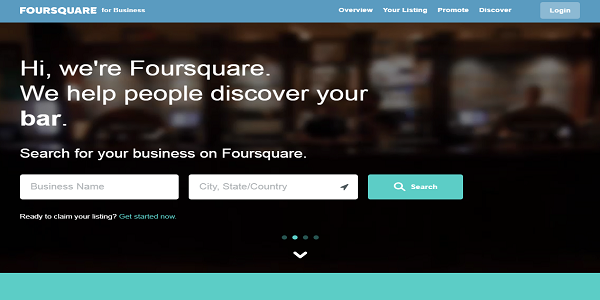 Foursquare has free and paid options and also a standalone mobile map. The leading local marketing solution in the US. 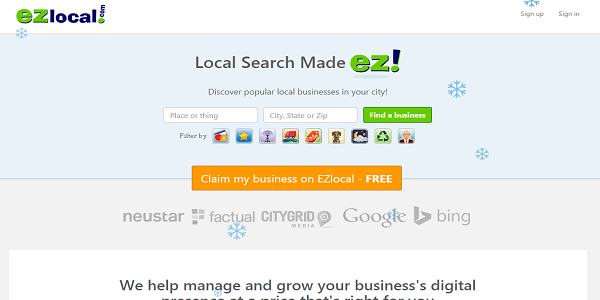 The most popular business directory in the USA. One and only: Yellow Pages. Available around the world but originates from the America user-friendly, with some special functionalities like coupons and deals or very well developed blog. Easy, fast and popular – that’s all you need. 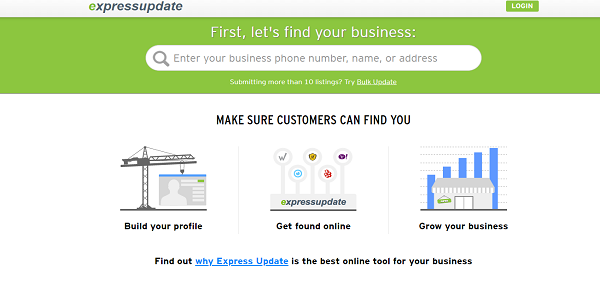 One of bigger American business directories is Express Update, which is a part of a bigger company named Infogroup. The very simple and fast business listing that contains only the most important information about the company and a short description of it. 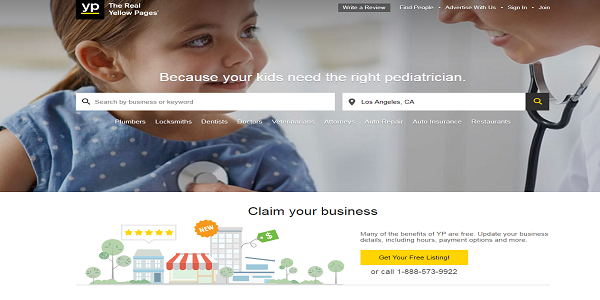 It is connected with some other business directories like Yelp, and some search engines like Yahoo, which means, your business will also be visible on these pages. Dun & Bradstreet is the business listing focused only on the USA. It has a giant database of more than 20 million business records. Very unique business profile viewing system where you can get not only the base information about business but also additional details like annual revenue, employee count or date of foundation. There is also an option to view data of the company on other listings or search engines. From the company profile, you can also write a message to it directly, which is a very special function amongst other US business directories. 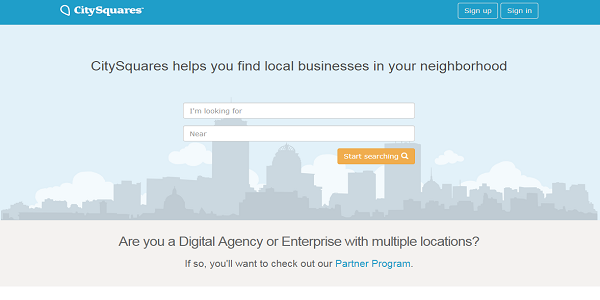 We covered the Manta business directory in our other ranking, but it came out that it is very popular in the USA too. 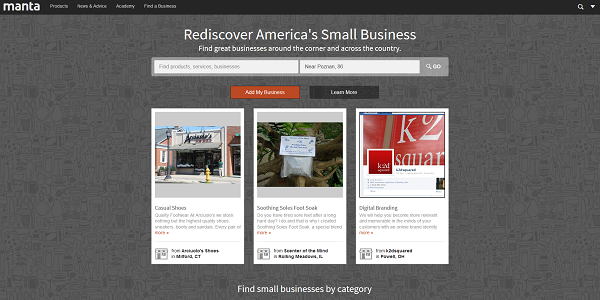 Very well built small business directory in the USA, great availability, user-friendly and fast working. This is definitely what brought Americans to this page. 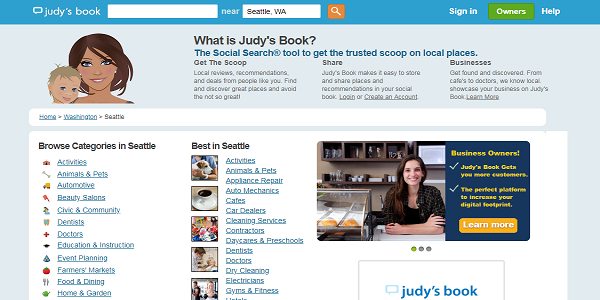 Next very well developed US business listing in our ranking is Judy’s Book. Over 11 million places and businesses registered, more than 1 million visitors monthly. These stats are talking for themselves. 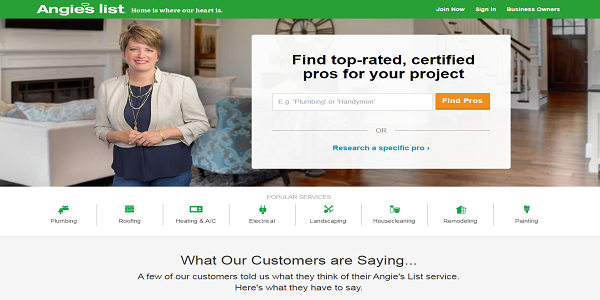 Also, it has useful functionalities like great review/rank systems, TrustScore displays, and an option to inform the owner about incorrect information on their page. Very simple, very usable, well built. These words can quickly describe this great American business directory. Founded in 2005 to help companies and local business to advertise their services online, still fulfills its mission today very well. 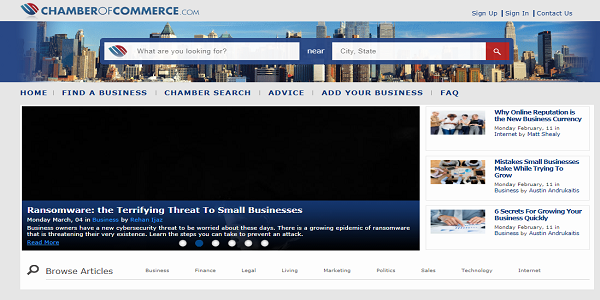 This us business listing focuses mostly on local businesses. The main slogan of this directory is Home is where your heart is. Although it is a little more complicated to use than the others on our ranking, it’s still very nice and high-quality directory. 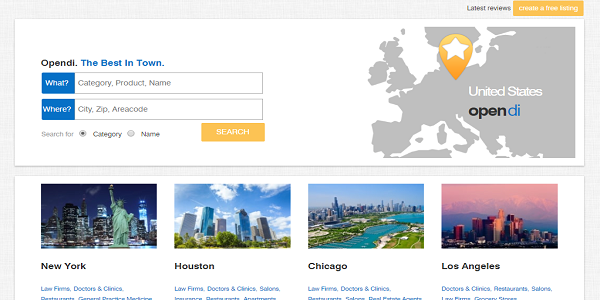 This is one of a few USA-only business directories on our list. Although it’s not looking very modern it is still perfectly working and up to date. 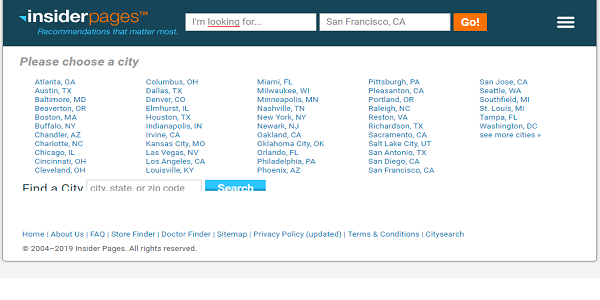 It also has some functionalities that newer us business listings don’t have like review system or map locator. 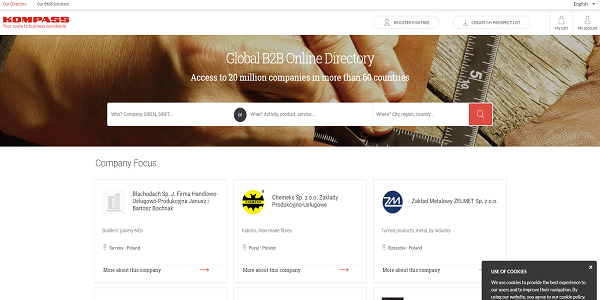 Kompass is the global b2b business directory, but it’s divided to sub-directories covering particular countries. In this case, it’s America. Very well developed system, many options of customization your company profile. Besides general info, you can also add information about a number of employees, key figures, products and more. Definitely recommend this one. We covered this united states company directory in other articles about directories. Very simple, user-friendly and fast. 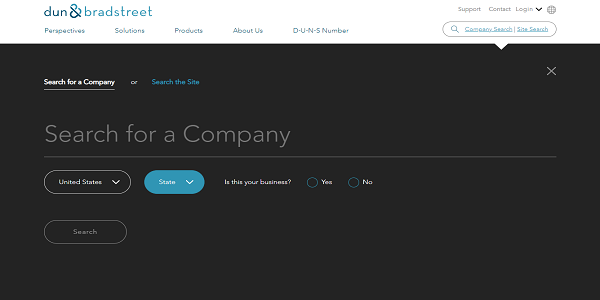 It also gives many options for customization to company owners. Well built system, popular amongst customers and company owners. Launched in 1998 this American business directory is still gaining popularity and is still up to date, even with so big competition on the market. Fast, simple and easy to understand by everyone. You can add basic information about your company and a description of it, which will work as a virtual business card. 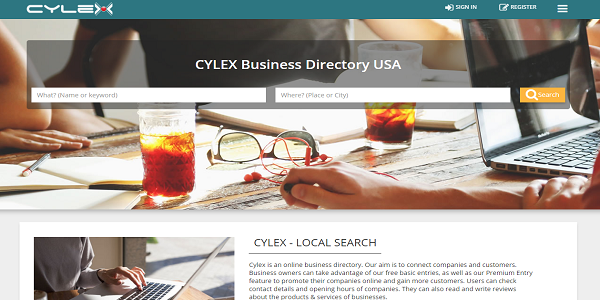 Cylex local search is an international business directory, but it’s divided to the country-specific, smaller listings. Fast, easy to use, popular and with a huge database – these are reasons why it is successful on a lot of markets, including the USA market. 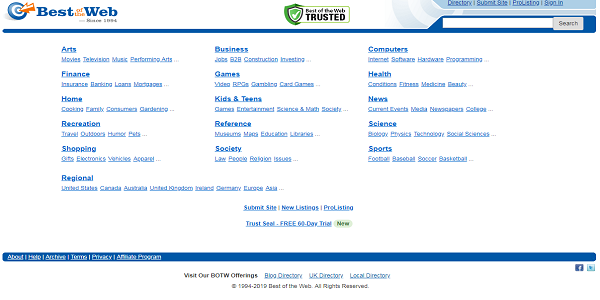 This is another US business directory on our list that is aimed at USA citizens. 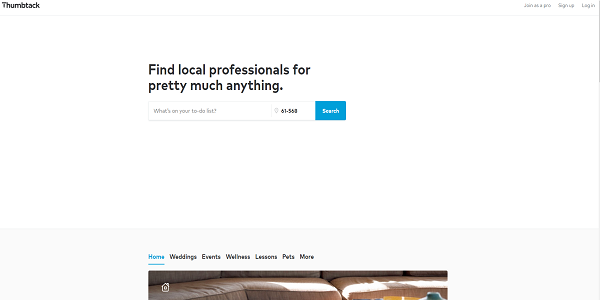 Fast, simple, with few additional options for users (reviews, ratings), and companies (you can add an offer, photos of your company, use on-page locator and more). There is also an option to connect social media to your company profile. Well built system, recommended by many users. Nice, modern UI, simple company profiles with all the important information and star-rate system. You can’t get simpler with business directory than this. 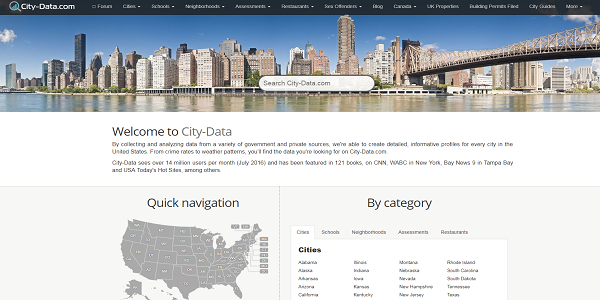 With 14 million users per month, City-Data business listing seems to be very popular amongst the customers. It differs from another listing on the list because it focuses not only on businesses, shops or products, but it covers data about the entire cities, including statistics like population, base information about the location, avg. income, resident age medians and more. Great tool not only for customers and businesses but for everyone who is looking for precise data. In this article we covered some American business directories, shortly described them and showed some data about them. Every of these business listings is a very powerful tool for your business. What is more important some of them add information about your business to databases automatically, and you can claim your page later. This is a very good and fast way to increase your company sales, popularity and overall recognition throughout the local communities. I don’t have to say that it is important if you want to compete with other companies in your branch, and very useful. An additional plus of these ones listed here is that some of them are free, so you can use them without even spending a cent on them. Isn’t that great? We hope that our article will help you in choice and decision which business directories are best for your business. Thank you for your time and attention, and we invite you to our other articles.